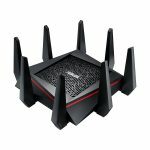 The Asus RT-AC88U and the Linksys WRT1900ACS are both dual band routers that will help you to get improved WiFi signal in your home. 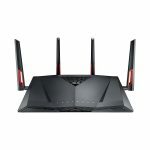 Both routers are a similar style and are in the same price bracket, so which one is better? We have compiled a list of the key features of both the Asus RT-AC88U and the Linksys WRT1900ACS to see what the difference is and which one comes out on top. The Asus RT-AC88U operates over two bands and can give you speeds of up to 1,000 Mbps at 2.4 GHz and up to 2,100 Mbps at 5 GHz. 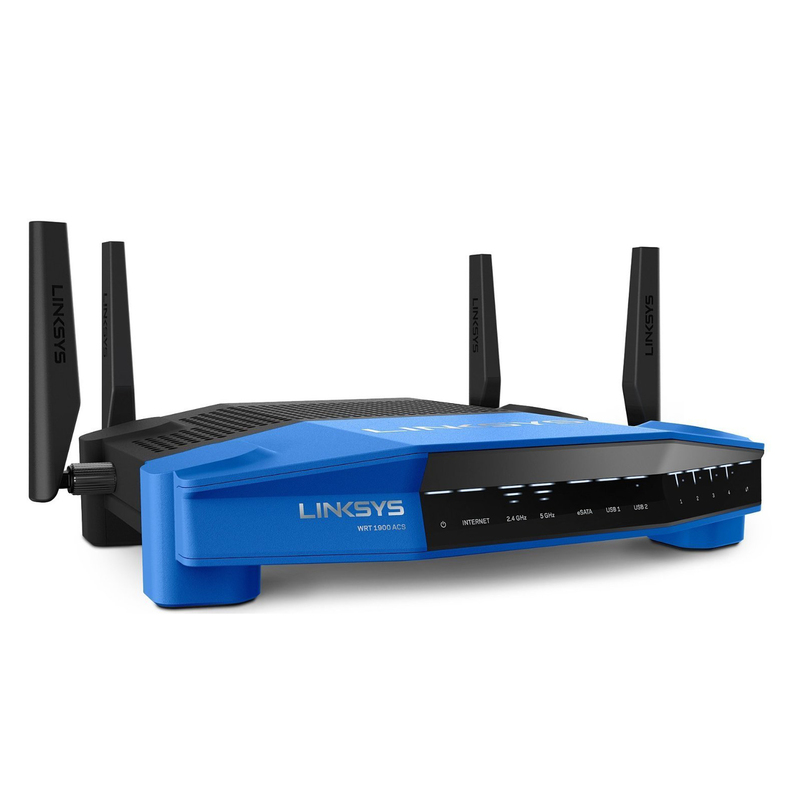 The Linksys WRT1900ACS is a dual band router that can offer speeds of up to 600 Mbps at 2.4 GHz and 1,300 Mbps at 5 GHz. The Asus RT-AC88U features a 1.4 GHz dual core processor but the Linksys WRT1900ACS has a faster 1.6 GHz dual core processor, allowing you to transfer large amounts of data even quicker. 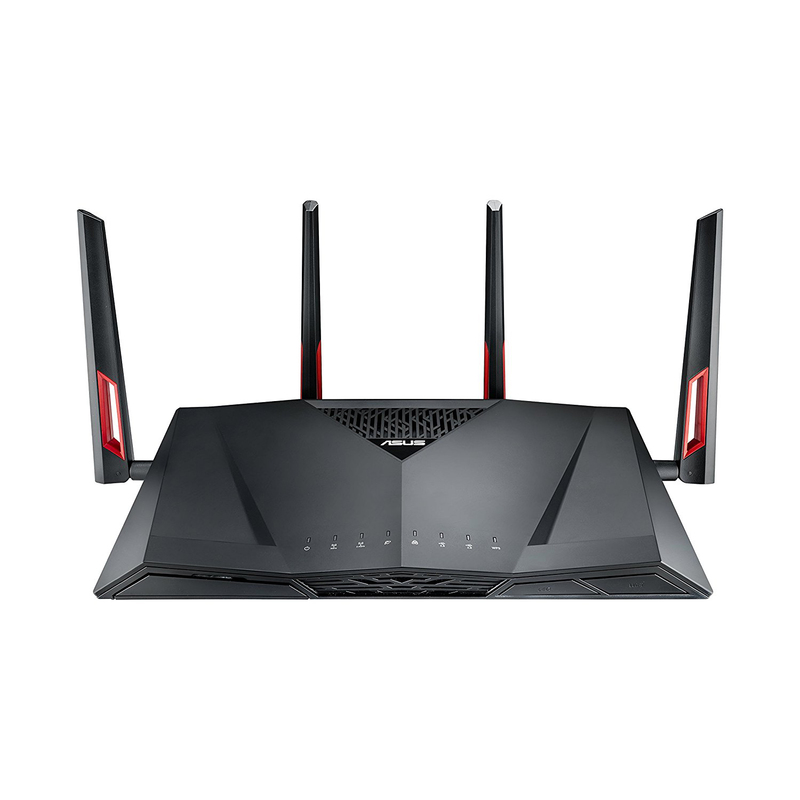 The Asus RT-AC88U benefits from advanced gaming technology, WTFast, that allows you to connect to the Gamers Private Network (GPN), reducing ping times and speeding up response times during gaming. The Asus RT-AC88U also features MU-MIMO technology that will automatically assign your devices to their own fast speed connection, without slowing down your network. With both routers you can manually prioritize a specific device’s connection, depending on the bandwidth. The Asus RT-AC88U has the advantage of Smart Connect technology that will automatically find your device the best connection for its speed and bandwidth required, and will switch between the 5 GHz and 2.4 GHz bands. The Asus RT-AC88U benefits from AiProtection technology that helps to secure your network and protect your personal information. You can access your network settings and security settings from an app on your phone, where you can set up and manage individual user accounts and set restrictions. With both routers you can use each model’s corresponding app to manage parental controls and limit your children’s access to particular sites and adult content. The app for each router also allows you to see what devices are connected to your network, so you can keep your family safer. The Asus RT-AC88U features 4 transmitting antennas and 4 receiving antennas, giving you a stronger WiFi signal across your home. 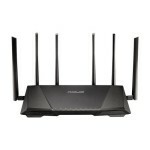 The Linksys WRT1900ACS has 4 external antennas that can be adjusted in order to boost signal in a particular direction. Both routers benefit from beamforming technology that helps to boost signal and direct it to devices instead of transmitting it in a general location. Each router has 4 gigabit LAN ethernet ports as well as one WAN port and both have USB 3.0 and 2.0 ports. After comparing the features of the Asus RT-AC88U and the Linksys WRT1900ACS we think the better router is the Asus RT-AC88U. It can deliver faster speeds over both its 2.4 GHz and 5 GHz bands and has easier to manage security features. The Asus RT-AC88U also has the benefit of prioritization technology that gives faster speeds for gaming and streaming.